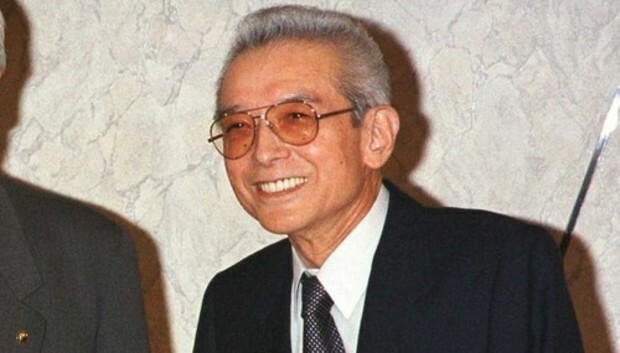 Nintendo fans, switch off your games and observe a moment of silence for Hiroshi Yamauchi, who died Thursday of pneumonia at a hospital in central Japan. Yamauchi, who was 85, served as president of Nintendo from 1949 to 2002. He continued to serve as an adviser after his departure from the company, and was one of the richest men in Japan. Under Yamauchi's stewardship, Nintendo hired Mario creator Shigeru Miyamoto and launched the Famicom, the video game console that jumpstarted the North American game market when it arrived in the U.S. as the Nintendo Entertainment System. Video games wouldn't exist as we know them today without the NES, and the NES wouldn't exist without Yamauchi. The grandson of Nintendo founder Fusajiro Yamauchi, Hiroshi Yamauchi took the pivotal step of transforming Nintendo from a small-scale card manufacturer to a toy company, narrowly avoiding bankruptcy in the process. He led Nintendo into the growing American arcade market with Donkey Kong in 1981, then made Nintendo a U.S. household name by releasing the NES in 1985. The NES was a smash hit that single-handedly revitalized the games business after the video game market crashed--hard--in 1983. Today the video game business is booming, and Yamauchi is credited for making a number of key decisions that helped the game industry--and Nintendo--prosper. Yamauchi fostered creative talents like Miyamoto because he believed video game developers could and should be artists, not just engineers. While Yamauchi was known for running Nintendo with a bit of an iron fist--every game published on the NES had to be approved by him first, for example--he had a proven knack for identifying successful ideas. Under his leadership, Nintendo created some of the most beloved and long-running game franchises in the world, including Mario, Metroid, and the Legend of Zelda. "[Yamauchi] was kind of a forerunner of Bill Gates or Steve Jobs--including the fact that he dropped out of prestigious university in Tokyo to pursue business interests," says Lewis Ward, manager of gaming research at IDC. "He was directly instrumental in getting Nintendo's home console and handheld product lines on the map at a time when it was far from clear they would be popular and that their games could be profitable. His guidance will be missed, but not forgotten." Yamauchi stepped down as company president in 2002 and was succeeded by Satoru Iwata, who currently leads Nintendo as the company struggles with floundering Wii U sales and an evolving mobile game market. In the interests of full disclosure, you should know that IDC is a sibling company to TechHive, both of which are subsidiaries of International Data Group (IDG).